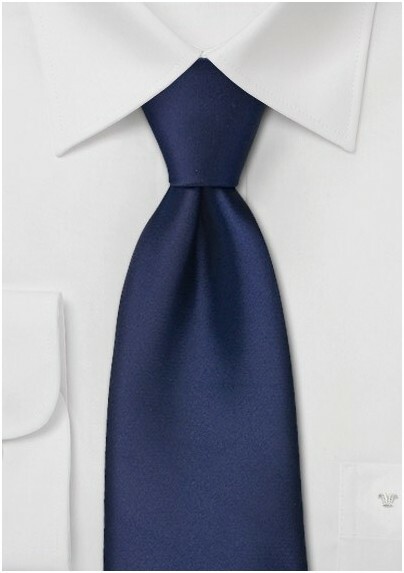 This classic navy tie belongs into any tie aficionado's collection. It is timeless and elegant. 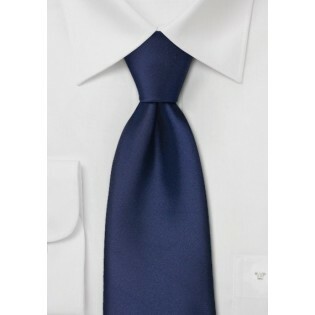 In addition, the solid color design will make it easy to match this tie to any striped or check patterned dress shirt. Please note that this navy tie is made in long length of 62 inches. It is made for men taller than 6 foot 3 inches as well as those guys with a larger (18+ inch) neck. Made from care-free microfiber.